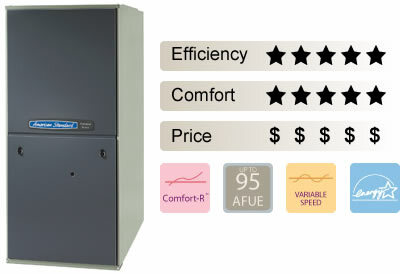 *An American Standard Platinum ZV or Gold ZM Comfort Control is required for communicating capability on Platinum ZV furnaces. Telephone Access Module (TAM) required for remote system monitoring. **Potential energy savings may vary depending on your lifestyle, system settings, equipment maintenance, local climate, home construction and installation of equipment and duct system. ***Subject to IRS regulations. Consumers should consult a tax professional for advice on tax preparation.